Just in time for Thanksgiving, the CDC says don’t eat any romaine lettuce and throw it away if it’s in your house. It could cause an E. coli infection. The CDC says stores and restaurants should also not serve or sell any until more about the outbreak is known. This investigation is ongoing and the advice will be updated as more information is available. In this case, romaine lettuce means any kind of romaine: whole heads, hearts of romaine, and bags and boxes of precut lettuce and salad mixes that contain romaine, including baby romaine, spring mix, and Caesar salad. 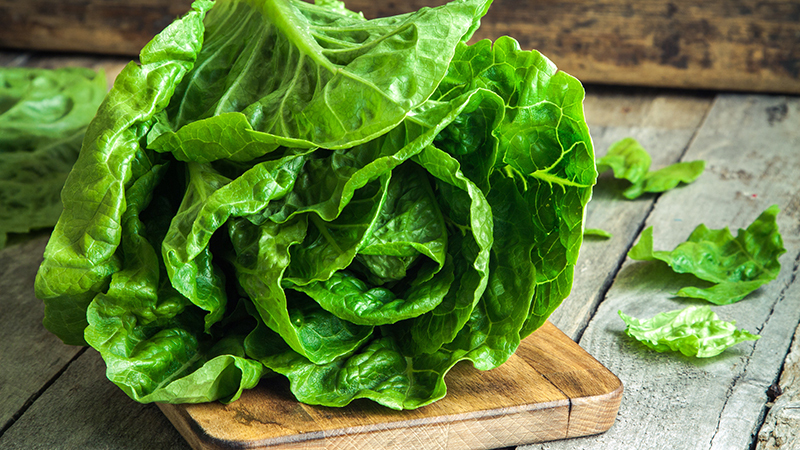 If you do not know if the lettuce is romaine or whether a salad mix contains romaine, do not eat it and throw it away, the CDC says. But don’t stop there. Wash and sanitize drawers or shelves in refrigerators where romaine was stored, the CDC warns. Thirty-two people have been infected with the outbreak strain of Shiga toxin-producing E. coli O157:H7 in 11 states. Illnesses began Oct. 8, and the most recent was confirmed Oct. 31. Thirteen people have been hospitalized. No deaths have been reported. Those who became sick from this outbreak were infected with E. coli with the same DNA as the strain responsible for a 2017 outbreak. But, the CDC says, this particular outbreak is not related to a multistate outbreak earlier this year.